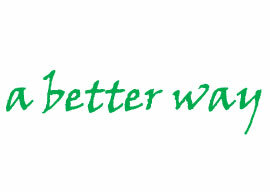 A global brand is born ViA a better way! The founder of the ViA Group also known as the ViA Card Group or the ViA Global Holdings AG group; Lars Olof Kanngard, has from as early as 2001 developed the brand name "ViA", which later has resulted in a large IP Portfolio (IP stands for Intellectual Property). Here on the ViA Brand website we will present all different trade names, registered trademarks and service marks used by the ViA Group. You will also find exampels of different designs and how we have used some of the registered servie and trademarks as well as you will get the story on how each of them came to life. The ViA Model and its ViA Concept has a broad range of products and services, which you can find links to here. Some trademarks has already been registered and gained registrations others are applied and others will be applied as service- or trade -mark. The ViA Group also has a large number of pending patents as well as granted patent, visit www.via-ip.com. The ViA Concept is built on a unique Business Model Innovation, which you can read more about www.viabmi.com The ViA group is today the owner of more than 1,000 web names (URL's) here you find them. The ViA official logotype is a registered Trademark in many countries around the world. ViA Card is a registered trademark and service mark and the name for the ViA Groups card products, with a focus on prepaid cash card. 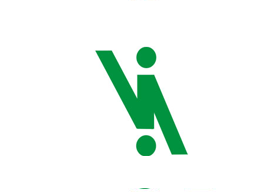 The ViA Single character image is a result of making ONE single character still displaying the ViA logo or the ViA name. The Corporate Social Responsibility program of the ViA Model is as you may know a well defined and well documented vision which will be carried out under this brand. The Vian or Vians are the global instructor, the symbol and the mascot who instruct the consumers and users on how to use any if the ViA concepts or products and tell the story about the ViA Card features, all the security issues. Explains that it is free and also about the fact that a ViA Card holder also get values back, ViA return's value to the user. ViA has developed and composed its own Jingle and its own music for both ringtone, presentation background music on-hold as will as produced corporate videos and cartons. ViA - a brand for the people. ViAcard - a card for the people. ViA Prepaid cash Card - Card for people - Brand for the people. 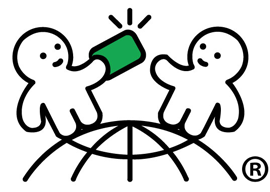 Payment reevaluation, a new thinking for how to allow the vast majority of consumers in the world from 5 year and up, to become part of the e-society, instant settlement and instant rewards and benefit. 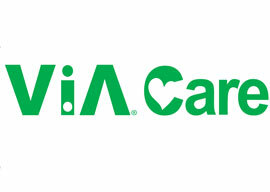 ViA - ViAcard - ViA Care and the ViAns mascot are a few of all Registered Trademarks by Lars Olof Kanngard with asigned rights to the ViA Global Assets, any other trade or Service Mark is own by its registered owner.